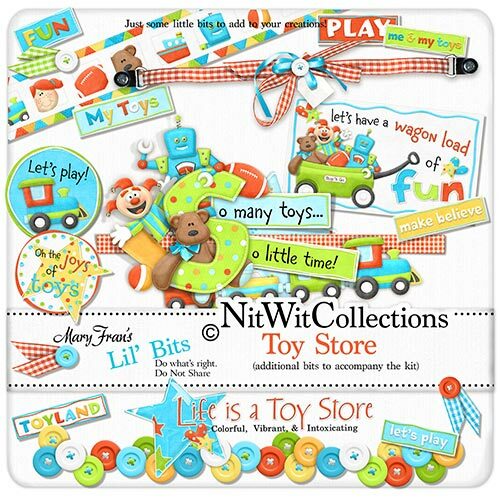 Here are some "Lil' Bits" that are great little additions to my "Toy Store" Fat Quarter Bundle kit. Yup, just some lil' embellishments to add to your layouts! 1 Wordart "wagon load" we all know how much this is! 1 Word circle "Joys of Toys"
1 Word circle "Let's Play"